It’s been a great start to the new school year so far! OFCS would like to thank our Bulldog families for your help in achieving a smooth opening to the 2017-2018 school year. We know it takes time to get your students prepared for a new school year. From completing the required online registration updates to shopping for school supplies, thank you for all that you do! OFCS will again be publishing regular updates to our District Blog, which you can visit anytime at https://ofalls.wordpress.com. New this year, OFCS Superintendent Dr. Jim Lloyd will also be publishing a blog of his own with information on topics related to our school district as well as things happening in the broader education arena. To read Dr. Lloyd’s first post and follow his blog, please visit http://ofcssuper.wordpress.com. We also invite you to follow our district and building Twitter accounts for periodic announcements, reminders and an ongoing glimpse into all the great things going on in our classrooms, buildings and departments throughout the district! Just a reminder there will be NO SCHOOL for students tomorrow – Friday, September 1st – due to the district’s scheduled staff development day. There will also be NO SCHOOL on Monday, September 4th, in observance of the Labor Day holiday. To view the 2017-2018 school year calendar online, click HERE. 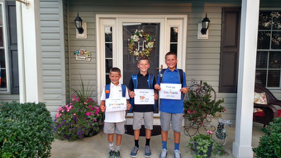 #OFBULLDOGSDAY1 Thanks to all who shared first day of schools photos via Twitter with @OFCSDistrict. It was fun seeing all the smiling faces ready for school! 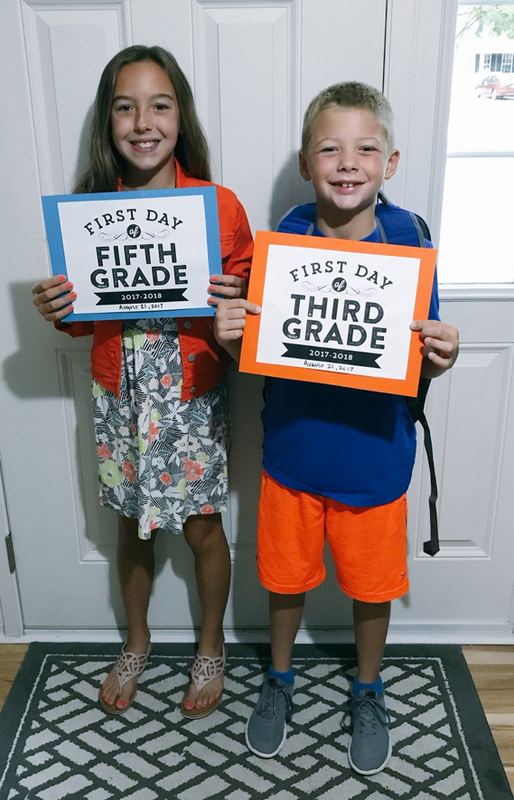 Would you like your first day pics added to our gallery? It’s not too late! Simply Tweet your first day photos to @OFCSDistrict and include #OFBulldogsDay1. Let’s go Bulldogs! Tomorrow night’s OFHS Varsity Football match-up against Avon has been nominated for Week #2 of “Friday Night Touchdown’s” Game of the Week. Click HERE NOW to cast your vote for Fox8 to feature extended coverage from Bulldog Country! 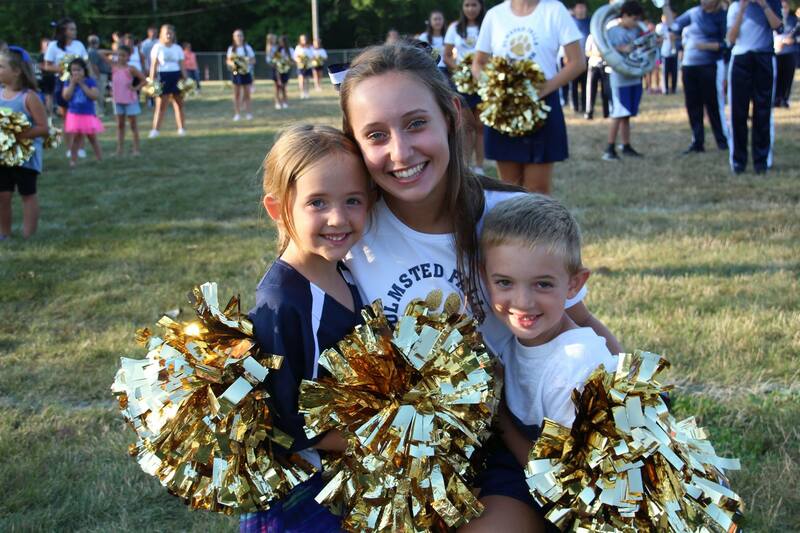 The OFHS cheerleaders invite all Olmsted Falls students in Kindergarten through grade 5 to attend a Cheerleading Clinic and then cheer under the lights at the Friday, September 15th Bulldog vs Lakewood varsity football game. 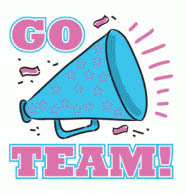 The high school cheerleaders will instruct clinics that are scheduled for Tuesday, September 12th (6:30-8:30 p.m.) for grades 3-5 and Thursday, September 14th (6:30-8:30 p.m.). Both clinics take place in the Olmsted Falls Intermediate School gym. The cost is $25 for the first child, then $20 for each additional one in your immediate family. Hurry, the deadline is this FRIDAY, SEPTEMBER 1ST. Each participant will receive a T-shirt, free admission to the game, a snack at the game and a picture with the Bulldog and the varsity cheerleaders. For more details on registering, click HERE. This year’s OFHS Marching Band Preview Show – held Saturday, August 19th – helped kick off the new school year with LOTS of BULLDOG SPIRIT and BULLDOG PRIDE! The Pride of Olmsted Falls Marching Band dazzled the crowd as usual with their preview performance! 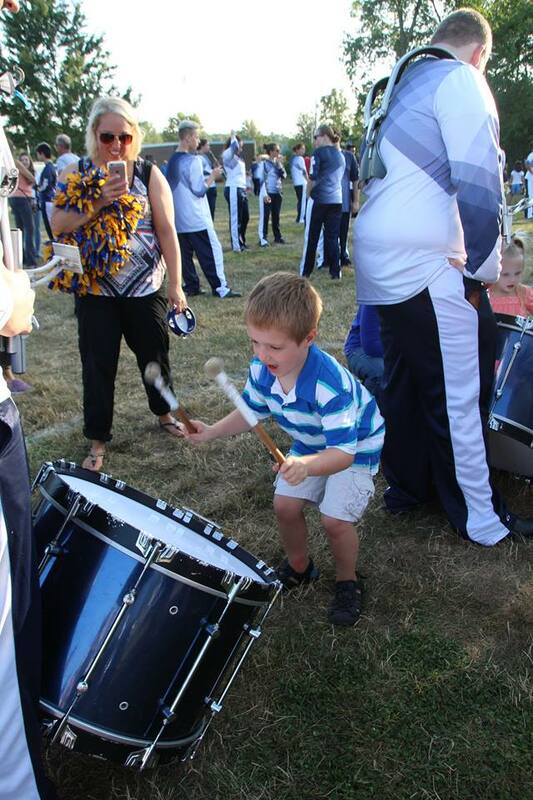 As has become a treasured tradition, the band also invited all younger Bulldogs to help them kick the night off. Many young Bulldogs joined the Olmsted Falls High School Marching Band on the practice field ahead of the big event and then headed on over to the Charles A. Harding football stadium. All had great fun – especially the little ones! Please click HERE to view a photo gallery of the event. Pictured above are new elementary teachers working in our Early Childhood Center, Falls-Lenox Primary and Olmsted Falls Intermediate buildings. Front Row (L to R): Lauren Payne (3rd grade); Chelsea Simpson (Kindergarten); Virginia Shroka (1st Grade); Bethany Timas (3rd grade); Joelle Honroth (Long-term substitute, Falls-Lenox); Emily Dame (Long-term substitute, Falls-Lenox); Elizabeth Roberts (Intervention Specialist, Falls-Lenox). Back Row (L to R): Nancy Becker (Tutor, ECC); Anissa Pletcher (Long-term substitute, Falls-Lenox); Antonette Clancy (Art, Falls-Lenox); Jennifer Pinzone (Kindergarten); Marissa Redden (Kindergarten); Allison Benson (Tutor, Falls-Lenox); Jacob Percival (Physical Education, ECC); Joanna Barnard (Speech-Language Pathologist, ECC); Miranda Oltmanns (2nd Grade). Pictured above are new teachers working in our Olmsted Falls Middle School and Olmsted Falls High School buildings. From L to R: Emma Bailey (Speech-Language Pathologist, OFMS); Talia Magestro (Long-term substitute, OFMS); Natalie Castrigano (Science, OFMS); Michelle Kenney (Language Arts, OFMS); Katelynn Bunevich (Counselor OFMS); Liana Culley (Long-term subsititute, OFHS); Alan Evangelista (Intervention Specialist, OFHS); Taylor Wharton (Science, OFHS); Ashley Harrington (Language Arts, OFHS). Not pictured: Alexander Lintner (Counselor, OFHS) and Nicole Mack (School Psychologist, OFMS). PTA MEMBERSHIP DRIVES UNDERWAY ACROSS DISTRICT! The Olmsted Falls Athletic Boosters is conducting its annual membership drive. This group helps raise funds for Bulldog athletic programs for grades 7-12. The school district has 65 teams in 22 interscholastic sports. The club helps defray that program’s operating costs through various volunteer opportunities and fundraisers. Being a member will help these efforts and improve the excellent athletic program. 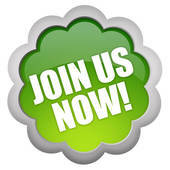 Patron memberships start at $15 with several levels available. A $35 or more contribution will list a business name. To view the membership letter, click HERE. To download a patron application form, click HERE. 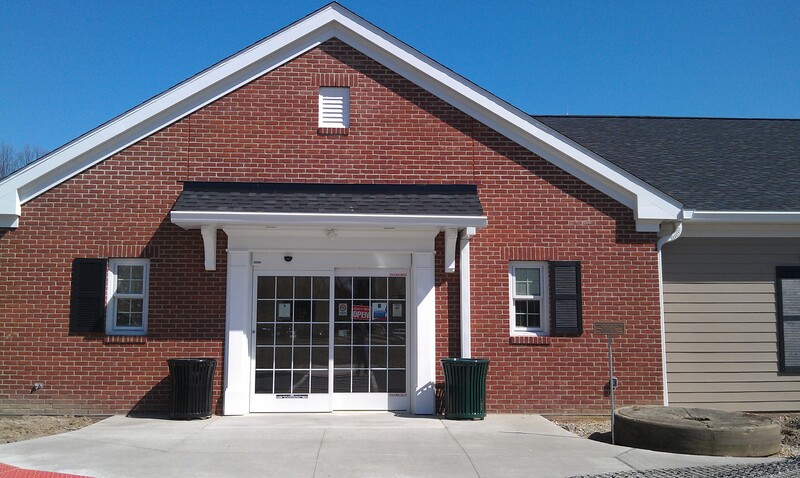 The club meets at 7 p.m. on the first Monday of each month in the Olmsted Falls High School Media Center. The Olmsted Falls Music Association’s first meeting of this new school year is at 7 p.m. Wednesday, September 6th, in the OFHS choir room. It’s a great way to get involved. You also may keep up to date with OFMS’s events on its facebook page by clicking HERE. Keep an eye out for the association’s new website – coming soon! 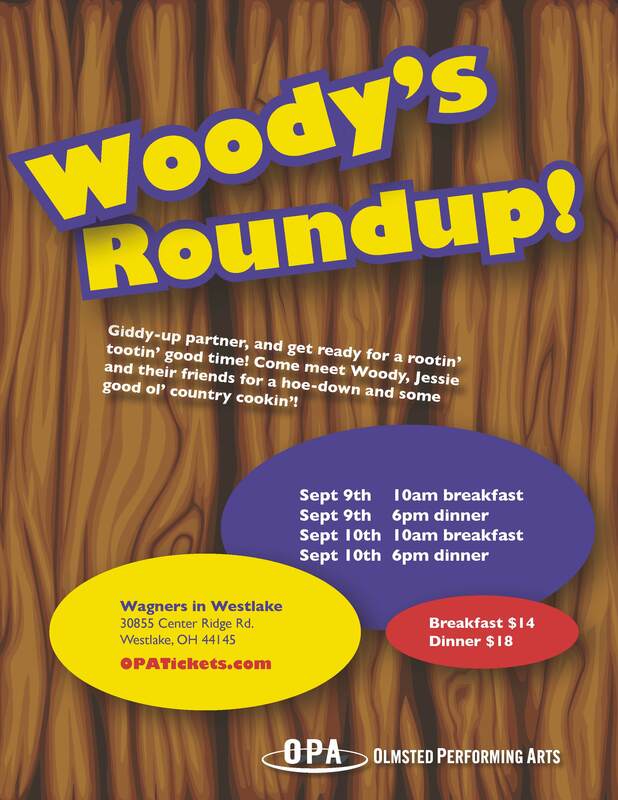 The Olmsted Performing Arts presents “Woody’s Roundup” that features a breakfast or dinner at Wagners in Westlake. The meal and meet and greet will occur after the performance. The event is set for 10 a.m. breakfast on Sept. 9 and 10 and 6 p.m. dinner on the same dates. For more details, go to olmstedperformingarts.com. Boys in grades 1-5 and their parents/guardians interested in Cub Scouts are invited to attend the Cub Scout Open House from 6:30-8 p.m., Tuesday, September 12th. It is in the Lenox gym at Falls-Lenox Primary School. 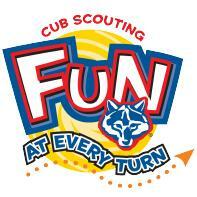 Meet representatives from Cub Scout packs 102 and 252 in Olmsted Falls, learn about the scout program and find out how your son may join the fun! For more information, email Pack 102 at OFallsPack102@gmail.com or Pack 252 at jrobinson@legalimages.biz. August 21st – First Day of School: Freshman Orientation (Freshman ONLY 7:26 a.m. – 9:16 a.m.) / Grades 10-12 LATE START @ 9:16 a.m.
August 28th – OFHS Open House @ 7:00 p.m.
August 18th – Orientation Program for 7th / 8th Grade Students NEW to OFMS (9:00 – 10:30 a.m.) This event is for new students only, not for all 7th/8th grade students.